Fakes, frauds, and phonies. Sounds like a book filled with criminals and delinquents, doesn’t it? Well, it’s not. Some of the biggest names in history can be found between these pages—and the light isn’t flattering. (We’re looking at you, George I must not tell a lie” Washington.) 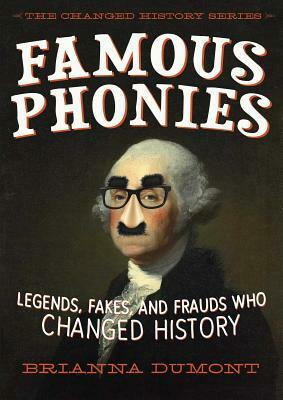 Famous Phonies: Legends, Fakes, and Frauds Who Changed History is the first book in a new nonfiction middle grade series that will explore the underbelly of history, making you question everything you thought you knew about history’s finest. Follow the fake lives of these twelve history-changers to uncover the fabrications of the famous, and the should-be-famous!